Which Colour Lace Wigs Suit Different Skin Tones? Lace wigs come in a variety of hair colours and it can be difficult to decide which colours to choose if you’re not sure which hair colours complement your skin tone. As there are quite a few folks who simply want to know which hair colours would work with their skin tone best – we thought we’d outline some tips in the hope that it would encourage you to have confidence in your hair colour choices. Here at Peruke, we're not really into being autocratic and tend to go with a laissez faire approach to choosing the colour of your hair, whether you’ve grown it or bought it - folks should ultimately choose hair colours they feel confident and comfortable wearing. The great thing about wigs (traditional cap wigs, full and lace front wigs) is that they’re not permanent; if something doesn’t work, you can try something else (a single wig isn't for life). We mentioned before that colour charts for hair are a bit like dress sizes – they vary from store to store and that there are broadly two types of colour coding for wigs, hairpieces and hair extensions. 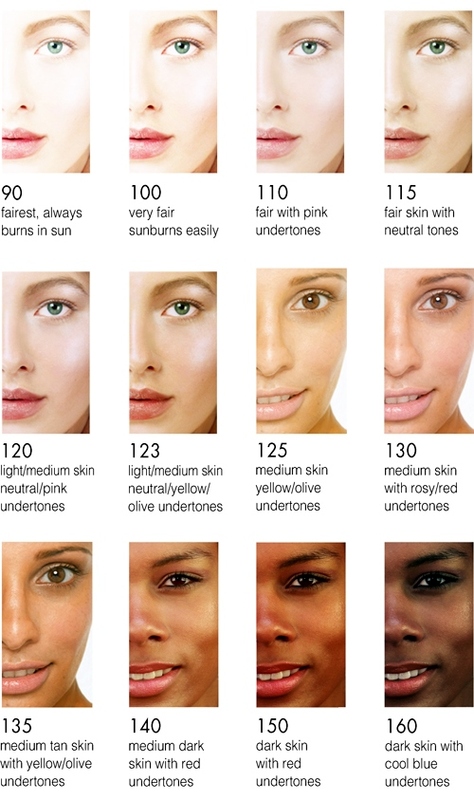 The skin tone chart is from http://www.vapourbeauty.com and given that they do airbrush make-up it’s quite detailed and it will appear in each article along with a number of charts with different colour options for wigs. Below is a gallop through complementary hair colours for wigs for each of the three broad groups of skin tones. Click the links to find out more about the skin tone and corresponding wig hair colour charts. Black is super easy to wear. Browns – dark chocolate through to chestnut browns. Blondes – warm honeys and caramels add warmth to the skin complexion. Reds – deep and rich plums, auburns, burgundy, copper reds with hints of chocolate. Check the lace wig hair colour guide for darker skin tones. Black is super easy to wear; Browns – chestnut browns through dark chocolate; Blondes – golden brown mixed with golden blonde; warm honey blondes. Reds - deep and rich plums (with or without hints of chocolate); auburns and burgundy; copper reds with hints of chocolate. Check the lace wig hair colour guide for medium skin tones. Off black can be worn (it can make very pale skin appear paler). Browns – warm coffee browns through to lighter café latte browns with multi-tonal qualities so the colour is not flat. Blondes – golden blondes, honey blondes, warm sandy beach blonde, light blondes (not so light they make the skin seem washed out) – keep warmth in the blonde. Check the lace wig hair colour guide for lighter skin tones. If you have a question that you think no-one else has thought about, then take a gander at the Lace (and traditional cap) wig section, or use the navigation menu. As well as being in the know, if you like to be in the know, then you can keep up with the next guide or article about wigs, hairpieces and hair extensions by joining our blog - it's super easy to do and doesn't require any personal info - hooray!